The British Hungarian Society was founded in 1990 at a time when Hungary was embracing democracy and a new freedom in contact with the West. 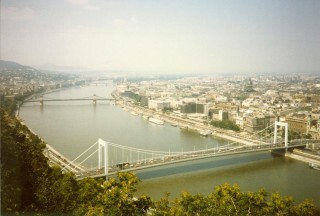 It aims to bring together all, British and Hungarian alike, who are interested in Hungary and in further development of British-Hungarian relations. The Society aims to hold six to eight meetings a year to discuss political, economic, educational and social issues. The Society normally holds its meetings in Central London on weekday evenings. Meetings are open to all members. Non-members may also attend and are requested to make a suitable donation. To apply for membership of the British-Hungarian Society, please download and print the application form by clicking on the link below. When complete, post the form to the Secretary at the address provided on the form. To download the form, right-click on the above link and choose 'Save target as...'. To view this file you will need Adobe Acrobat Reader, if you do not have it you can get a free copy by clicking here.